Payara Micro - Small. Simple. Serious. This microservices-ready version of Payara Server is perfect for cloud environments. Payara Micro, compatible with Eclipse MicroProfile, small (<70MB) and incredibly simple to use, it enables you to run war files from the command line without any application server installation. With its automatic and elastic clustering, Payara Micro is designed for running Java EE applications in a modern virtualized infrastructure. 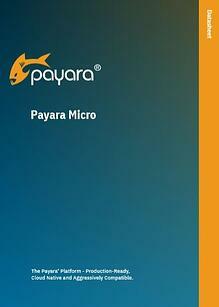 Download the Data Sheet to find out more about Payara Micro.